Back in April, President Trump ordered a review of 27 national monuments across the U.S. to see if their designations by past presidents under the Antiquities Act was done with an “appropriate level of input from all parties.” The idea is that if they weren’t then the government could choose to reduce or eliminate protected areas, opening them up to business interests. On Monday, the public comment period for the review ended and environmental organizations say the consensus is clear: consumers want these national monuments to remain intact. “It’s no wonder communities across the country mobilized to submit over 2.7 million comments so quickly when people overwhelmingly disapprove of the Trump administration’s extreme anti-environmental policies,” said Gene Karpinski, president of the League of Conservation Voters. According to Courthouse News, the review encompassed more than 11.2 million acres of land predominantly in the American West and 217 million acres of ocean on both sides of the country. Proponents of reducing or eliminating federal ownership of monument lands say that the current designations are too intrusive, restrictive, and stop states from using their own land how they’d like to. They say this is especially true in states like Nevada, Utah, Arizona, and California where protected lands are highly concentrated. 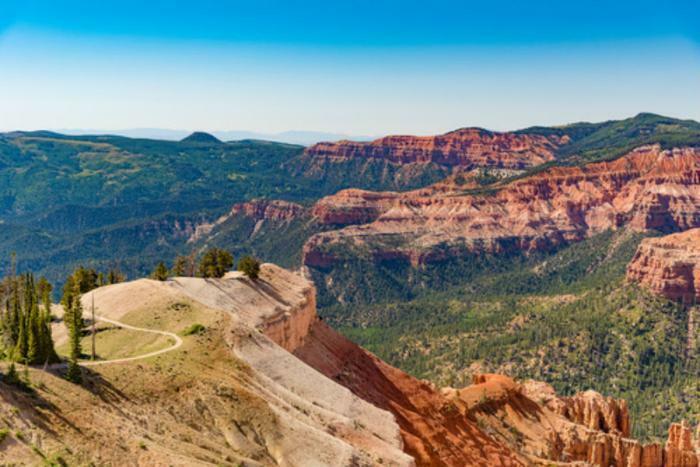 However, environmental groups claim that Zinke is already in the pocket of corporate interests, as seen by his recommendation to shrink 1.9 million acres of protected land in Southeastern Utah to allegedly open it up for drilling. “Zinke’s public-review process was a complete sham from start to finish. He’s doing the bidding of corporate polluters,” charged Randi Spivak, director of the Center for Biological Diversity’s public lands program. Several U.S. senators have spoken out on the matter, with many saying that reducing protections for monument lands would be devastating to the states they represent. While other officials like Utah Congressman Rob Bishop have become proactive in trying to undo national monument designations on the grounds that they lack local support, are excessive, or violate the Antiquities Act, legal experts have questioned whether the President Trump has the right to reduce or eliminate national monuments at all. On July 7, 121 lawyers specializing in environmental law sent a letter saying that the review “reflect(s) profound misunderstandings of both the nature of national monuments and the president’s legal authority under the Antiquities Act.” They point out that Congress, not the President, has plenary authority over public lands, and that any attempt by the executive office to pass land-use decisions would be illegal. The Department of Interior’s review of the national monuments is scheduled to end on August 24.